product movement identification, delivery confirmation. The nature of manufacturing industries was such that not much emphasis was laid on sales force optimization but there is still quite a bit for marketing and sales to figure out in order for manufacturers to continue their growth. 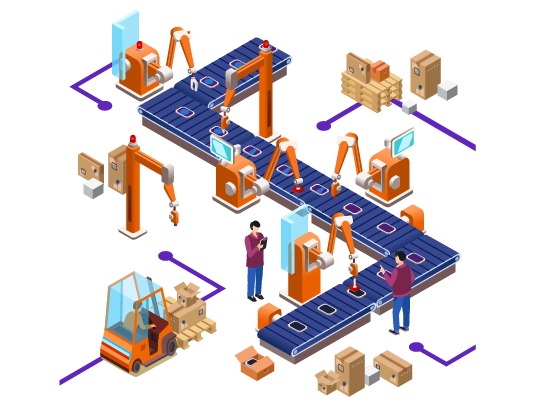 Therefore with better and more implemented technology, manufacturers can spend more time on the shop floor or in the factory focusing on what they’re best at. Automated tools help ensure they don’t have to worry about keeping up with paperwork, stuffing envelopes for direct mail campaigns, etc. Marketing automation is just one more vehicle that will improve efficiency and help drive campaigns and communication in order for everyone to move in the same direction and achieve their goals. First of all, every employee along with his manager must know what tasks he has to perform and by when he needs to complete them. Therefore, Meetings are an important part in the life of a field force professional and need to be done properly. Meeting status updates performed after the client visit has been done. Most importantly the feature helps you to save a note about what has been discussed in the meeting, leads are saved on priority basis like HOT, WARM, COLD etc. and what the next action point will be taken like- email documents, make phone calls or WhatsApp etc. Besides that, it keeps giving you a reminder about your next action point so that you got to know about your daily activities. The user can organize and schedule their daily task as per the priority. Certainly, one can add a client meeting reminder.